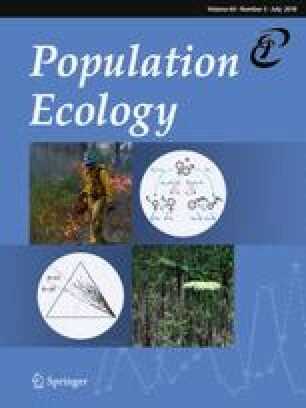 Creating multiyear cycles in population density demands, in traditional models, causal factors that operate on local populations in a density-dependent way with time lags. However, cycles of the geometrid Epirrita autumnata in northern Europe may be regional, not local; i.e., successive outbreaks occur in different localities. We review possible causes of cycles of E. autumnata under both local and regional scenarios, including large-scale synchrony. Assuming cyclicity is a local phenomenon, individual populations of E. autumnata display peaks but populations all over the outbreak range fluctuate in synchrony. This concept assumes that the peaks at most localities are so low that they do not lead to visible defoliation and easily remain unnoticed. In this scenario, populations are able to start recovery a few years after the crash, i.e., at the time of the mitigation of detrimental delayed density-dependent factors, such as delayed inducible resistance of the host plant or parasitism. In that case, the same factors that lead to crashes also explain the periodicity of cyclic fluctuations. According to the regional cyclicity scenario, different factors can be important in different phases of the cycle. The key is to identify the factors that tend to produce outbreaks with a periodicity of about 10 years. Initiation of the increase phase seems to coincide with maxima in sunspot activity, but causal connections remain unclear. Climatic factor(s) associated with the solar cycle could contribute to the large-scale geographic synchrony.